Boston — The Department of Early Education and Care today announced $500,000 in grants to 13 cities and towns to develop strategic plans for providing high-quality preschool to more children in their community. The "Commonwealth Preschool Partnership Initiative" grant awards will assist communities in conducting needs assessments and designing collaborative, public-private partnership plans for increasing access to high-quality preschool programs for children 3 to 5 years of age that are licensed by the Department of Early Education and Care. The "Commonwealth Preschool Partnership Initiative" grants will support communities in designing a collaborative, public-private partnership model for providing high-quality preschool that is aligned with Massachusetts' Preschool Expansion Grant program. Grantees will assess the needs of the families and children in their community and identify available resources to expand high quality preschool programs and services for 3 to 5 year old children to support their learning. The grant awards target communities that have multiple risk factors to children's educational success, such as high rates of poverty and homelessness. The "Commonwealth Preschool Partnership Initiative" planning grants will support communities in designing a collaborative, public/private partnership model for providing high-quality preschool that is aligned with Massachusetts' Preschool Expansion Grant program. Grantees will assess the needs of the families and children in their community and identify available resources to expand preschool programs and services for 3 to 5 year old children that supports their learning. The grant awards target communities that have multiple risk factors to children's educational success such as high rates of poverty and homelessness. "A high quality early education experience provides children with a solid foundation for learning and optimal development that is essential for long term success," said Early Education and Care Commissioner Tom Weber. "The 'Commonwealth Preschool Partnership Initiative' supports communities in designing and integrating high quality preschool programs into their overall early education system, to the benefit of children and families." In September 2015, Governor Charlie Baker announced the start of Massachusetts' Preschool Expansion Grant program in Boston, Holyoke, Lawrence, Lowell and Springfield. Through funding from the United States Department of Education, the Preschool Expansion Grant program provides free preschool for 858 four-year-old children each year in these communities over the next two years. Elements of the Preschool Expansion Grant model include full-day and full-year programming; higher salary compensation for educators; classroom staffing requirements (child-teacher ratio of 10:1 and at least one educator with a Bachelor's degree); use of formative assessment tools and curricula that aligns with state standards and guidelines; and family engagement activities that support transition to and from preschool. 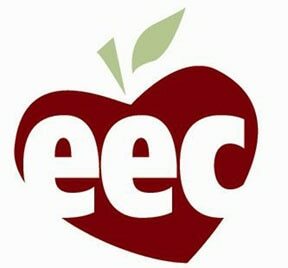 The Department of Early Education and Care awarded grants to nine communities to design a program for providing a year of free preschool to four year old children based on the Preschool Expansion Grant model, and grants to four cities currently participating in the Preschool Expansion Grant program to develop plans for serving three year old children in their program model. The 13 grantees will submit their strategic plans to the Department of Early Education and Care in June 2016. The communities selected for a "Commonwealth Preschool Partnership Initiative" grant and their award amounts are listed below. *Current participant in the Preschool Expansion Grant program. EEC’s mission is to support the healthy growth and development of all children by providing high quality programs and resources for families and communities. We can connect you to early education and care providers, help you become a licensed early educator, and refer you to resources that support children’s learning.